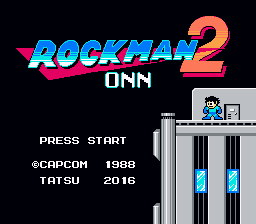 Rockman 2: ONN is a hack of Rockman 2 (NOT Mega Man II) that changes the stage layouts, graphics, movement of the boss, special weapons, background music (BGM), etc. Well one thing that made me a bit happy is the fact that even in 2016 people still wants to made expensive hacks of this game. About the hack, it changes literally everything in the game. 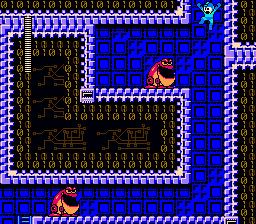 I’ve played until Wily 1 and I can say that is NOT the best level hack. Because most enemies are harder and they were NOT well placed at all (meaning that some areas are pretty much impossible to no damage). They didn´t do much damage at all, but is still bad. I saw myself running out of lives and health a lot here. 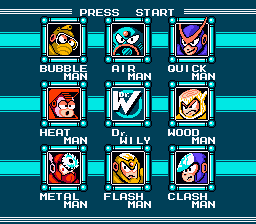 And another disappointing is wily 1 music. 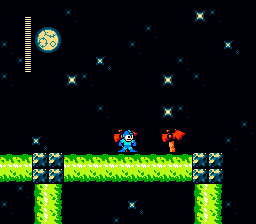 Why it uses musics from other classic mm games? 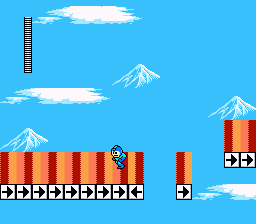 Its something that I hate pretty much, but fortunately the other stages musics are from other games, so whatever. I really wish that the recommendation had a neutral option, because is a expensive hack and new, but with their problems that made it kinda messy. But since it´s not as bad as the fucked up Deus Ex Machina (which is a HORRIBLE hack), this is probably not the worst one, but still ..